In this post you can find deals and coupon matchups which are featured by Loblaws and in valid Dec 30 to Jan 5 2017. Definitely, they will enable you to save more. We have explored 2 coupon matchups for this week. Bic Disposable Razors: Coupon saving is $2 and flyer price is $5.99. This means you can get it for $3.99 at Loblaws. But be aware about that you are able to get them just 6 packs. To get more info go to page 9. 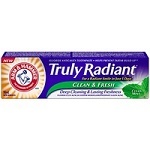 Arm & Hammer Toothpaste : Coupon saving is $0.75. Not great but suppose that if you get 6 packs, which is limit, ultimately you can save $4.50 that is great I think. More info can be found on the same page. On the cover page, there are numerous Happy New Year Deals. Snacks and beverage sale are focused on that page, if you are going to celebrate new year with friends at home, exploit the deals listed below. If you have health and food safety concerns and don’t want to consume junk food and snacks you may browse the page 2 which exhibits organic produce and fresh to go products. Some of them are listed below. Browse the entire flyer to maximize your saving and check out other retailers’ flyers and coupon matchups.